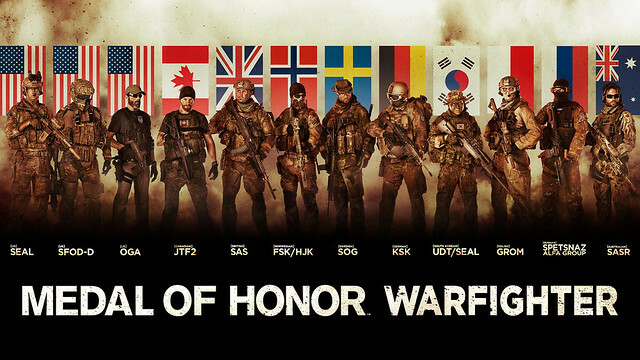 Kristoffer “Hoffe” Bergqvist, Creative Director of Multiplayer at Danger Close Games has been busy working away on Medal of Honor Warfighter, the follow-up to Medal of Honor from 2010 over the last couple of years. At EB Expo over the weekend, Jess and Hangie had a chance to sit and chat with the creative mind responsible for bringing together what should be the most comprehensive, authentic and above all else, most fun experience in the history of the franchise. Kristoffer Bergqvist is a man with sound understanding of the first-person shooter genre having worked at DICE on Battlefield 2, Battlefield Bad Company 2 and looks set to inject his own innovative vision into Medal of Honor Warfighter, and the unique International Tier 1 multiplayer gameplay. Read on as Kristoffer talks guns, multiplayer modes, Tier 1, development and beards. Yes, beards. Hangie: So are you having a good time so far? Kristoffer: Absolutely. It’s such a blast being here. You work so hard with the game for two years, and finally being here and seeing the fans play and having fun; it’s such – it’s the best kick. Jess: You finally actually get to see the response; You’re not just hiding away. Kristoffer: Yeah, it’s such a buzz! Hangie: Alright, so first question… What was the transition like moving from Sweden to Danger Close in Los Angeles? Kristoffer: It was a lot of fun. The Danger Close studio is very diverse. It has developers that have very different backgrounds and I learnt so much just working with them. Working with guys from Gears [of War], CoD [Call of Duty], MoH [Medal of Honor] veterans, just all over the place. I love that; great experience. Jess: Medal of Honor for the first time will feature heavy Australian presence with SASR as a playable faction amongst other international Tier 1 groups. 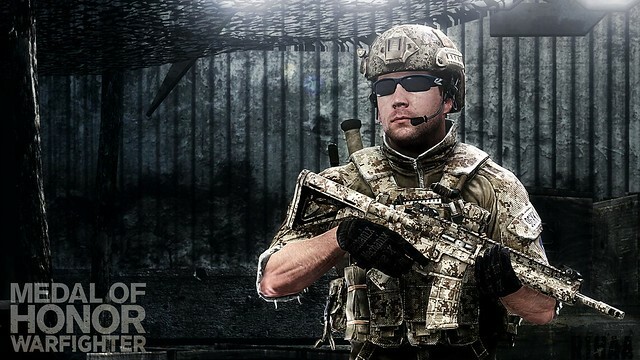 Tell us a little about the new faction and what it was like working with real life SASR forces. So we did, it’s all there. We’ve got conflicts that are all over the world now that they helped us with this, which is a great experience. I’ve love working with those guys; they’re all very smart people with this extraordinary line of work. Yeah it’s been a cool ride for sure! Hangie: Having spent a year in the Swedish Air Force in your younger days, did that help with developing the SOG Swedish Tier 1 units? Kristoffer: It did for sure, I mean, what I did in the Swedish airforce was very different from what the SOG guys do obviously but it was just good getting that experience, like what is gun handling like; how heavy is it; how loud is that ‘boom’ when you shoot it – and I still have friends that I met there, that went on into these branches, so it absolutely helped a lot. My favourite weapon of all time, that I got to learn during my time in the airforce is actually feature in there, the H&K [Heckler & Koch] AK4, which is the Swedish version of the G3… if you speak gun-nerd – haha! Jess: So the 2010 Medal of Honor multiplayer was developed by EA Digital Illusions CE, while this time round Danger Close are at the helm for both single-player and multi-player. What were you able to do differently by handling both elements of the game? Kristoffer: I think finally being under the same roof as the single-player team helped out a lot. I mean, these are the guys (a lot of them) have been there since the first Medal of Honor with Spielberg 15 years ago, and they have so much knowledge about this franchise. And that we are on the same engine, because the last game was not only two studio, it was two engines. Just being on the same engine has helped us so much, just lifting features back and forth. So if we see something and think “ooh I feel this would be good in multiplayer” we can just take it, and same goes the other way around obviously. So we were able to increase the scope so much on this game, we have six classes (instead of three in the previous game), all classes now have the unique support actions (rather than having shared ones), each class has a unique class-ability and they all have unique grenades; just so many things that we couldn’t really have done if it wasn’t for having a big team in one place. Hangie: The multiplayer experience for Medal of Honor has got a really strong following coming off the previous title. When introducing new game modes to Medal of Honor Warfighter, how’d you tackle addressing the concern of fans when you’re introducing something innovative to the Medal of Honor series, and possibly changing something they really like? Kristoffer: We kept most of the favourite game modes from the last game and we looked for holes, like “What kind of game modes don’t we have?” “What are we missing?”. We felt that we wanted one that was tuned for competitive, pro-level, clan kind of gameplay and that’s how we started the design work for turned in to Home Run [mode] that we’re playing [at EB Expo]. It’s smaller teams (6 versus 6), one life, no respawns, very intense and close-quarter battles. Jess: The multiplayer in the previous games was 12 vs. 12 players, while this time it’s down to 10 vs. 10. Some fans are concerned that the drop in player count could impact on the intensity of the matches. What steps have been taken to address this? So we are – this might get detailed – we are changing how we design our maps on a more fundamental level. We are focusing more on choke points and getting you to meet head-to-head, we’re trying to avoid the ‘getting shot in the back’ kind of gameplay. Going to 10 vs. 10 wasn’t a technical discussion at all, we just tested back and forth what was the most fun and we ended up with 10 versus 10 which fits perfectly. So I’m assuring that these fights are going to be at least as intense as they were in the last game. Jess: That’s great. Going for the fun – you can’t lose there. Kristoffer: Yeah I mean, one good thing about working with Frostbite is that we get a working playtest from Day 1. So we have been play-testing this game now daily for two years and after every play test we just get together, and are like “How can we make this more fun?”. It’s a very interactive process and I think that’s the only way to do it; to get the kinds of results that we’ve got now. Hangie: Feedback from fans, they’ve been very vocal about what they like, what they don’t like. Throughout the whole developmental process when fans give you feedback, does it impact on what you include or don’t included? Kristoffer: Absolutely. I mean, we’re making this for the fans and it’s the single-most important place where we can get feedback. We had a session a while back where we got community people to play the game with us for four days in a row. So actually they played it for eight hours a day and then when that was done we had a feedback session, with “What do you think?” “What do you want to change?”. Then the team worked during that night to give them a new build for early morning, so they’d play with those changes again and the team was just sitting there waiting for feedback and they’de work that night again. Once we did that for a week we began to make a lot of changes depending on that feedback; It’s just so important for us. Hangie: Are we talking about a lot of players saying the same thing, as in ‘This is a flaw that they really want to change’ or are we talking any little minor details and just give it a crack and see how it goes? Kristoffer: The feedback we got was from them all over the board; all of it was really good. A lot of it was focused on gun gameplay and balances, and it’s cool they found exploits that we didn’t know existed because when playing the game we’re different – we tend to play nice and… haha they don’t. So it was a lot of that, yeah. Jess: So, you touched on this briefly before, but for Warfighter you moved from the old engine over to Frostbite 2 and shaped it to create a unique Medal of Honor look. Can you tell us a bit more about how you’ve made Frostbite 2 your own? Kristoffer: So a lot of it obviously comes from the art direction, and where we place it. And we worked on just taking Frostbite to the next level as well, because that’s the good thing about having so many teams within EA now working with Frostbite, we’re just helping out each other. So we worked a lot with things like input lag and hit detection and all of that. 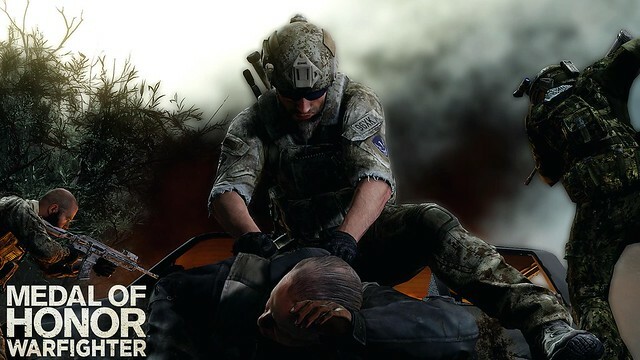 Our game is different than, well what Battlefield is; [Medal of Honor Warfighter] is more about tight, close-quarter combat, it’s really important that the hit detection is spot on so we put a lot of effort into that. We also fixed technical challenges that worked into our gameplay. Like we have our Fire Team feature, which is like co-op in multiplayer, it now has like you see an outline of your fighting buddy at all times; that was actually a pretty significant technical challenge to get that to work so we did a lot of that. Our characters are obviously also very important, since you can now play as SASR. We wanted to see the SASR guy a lot, so we changed it so you can have (I’m not going to go into rendering details) but actually in the respawn screen we can show the world from one camera and render your character on top of it, standing there waiting to respawn. Stuff like that, that we did to get Frostbite to work with the kind of gameplay in the future that we want to highlight. Hangie: That sounds… that sounds really technical! Kristoffer: Haha it’s alright, we have some talented engineers in our systems teams; it’s just amazing. Hangie: The term “authenticity” is often used when addressing the new enhancements over previous Medal of Honor titles. 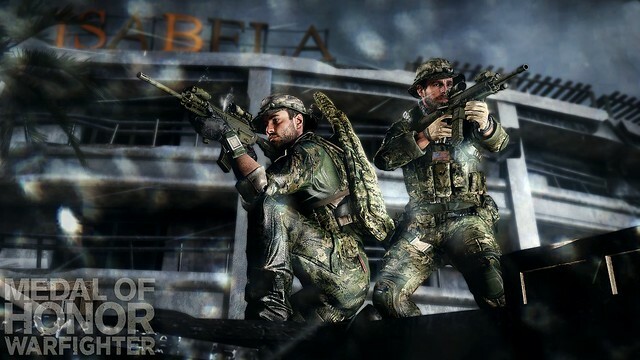 What are some of the new features that you think the fans will really enjoy in Medal of Honor Warfighter? Kristoffer: So, all the features will come from these discussions with the operators, which is really cool. We’ve talked about how (the operators) introduced the 12 units from all over the world, and also the Fire Team feature comes from that; we were on the mocap [motion capture] set and two navy seals were there and we asked them to do a door-breach room-enter-thing, and just seeing them doing that together – they didn’t look at each other once, but they knew what they other guy was doing and it was just so fast, so explosive and so well coordinated. We were like… “Holy crap that’s cool! How do we get that into the game?”. And so that’s how we started working with the Fire Team feature, and even if the ‘outline’ isn’t very realistic because they don’t actually see outlines of their buddies, it’s that kind of sixth-sense we are trying to convey right? So everything we do comes from there. It’s also when we work with the core gameplay features that we’re struggling with; we had this claymore kind of a sign – you know in shooters there’s usually a claymore you throw – and we wanted that on our sniper to protect his back but we weren’t happy with how it played out. Traditionally he plants it, there’s a radius, you step into it and it goes boom; it wasn’t very exciting. So we sat down and talked with the operators and they brought up this new thing they called the ‘pursuit deterrent munition’ or M86, and we call it ‘spidermine’ because it’s a lot easier to say. You throw it down and it fires out trip wires in all directions, and if you step on them… obviously it goes boom. But the cool thing about it is [the trip wires] are only so long and they’re also visible, so you need to be strategic about where you place it, and also when you encounter it you can jump over it if you see it fast enough. Someone said that there’s actually a lot of new gameplay there and I think that’s a good example of where authenticity and gameplay just help each other. All our features come from there; you’re sitting down and talking with these guys, and it’s like a never ending source of inspiration. It’s pretty cool. Jess: So the game is set to have an even greater variety of gadgets and guns than ever before. Any idea just how many weapons players will have at their disposal this time around? Kristoffer: We have 24 base weapons, so this is a base-weapon system. One other thing that we learnt working with these international special forces was the different weapons across countries; when we worked with Polish GROM for instance and they showed us their M249 which is a light machine gun, I saw that it doesn’t look like a Swedish M249. So what we’re doing now is that every time you unlock a soldier, there’s 72 of them, we give you the parts to rebuild the base weapon into that specific weapon version, if that makes sense? So if you have a Polish 249 and you unlock the Swedish 249 you can just mix and match, rebuild it into the Swedish one or mix it as you want. They also affect the gameplay, like the Swedish one has a longer barrel so it’s slightly more tuned for mid to long-distance combat. It’s also all up to you if you want to put hand-guards, lighter stocks or so-on. So that’s 24 base weapons, 72 of these pre-set configurations, and then we’re talking hundreds or thousands of combinations if you start mixing and matching. Jess: Wow, it’s really different. That’s great to hear. Kristoffer: It’s really cool. I’m really proud of our weapon customisation system. Although you don’t get to see it now because [EB Expo] is an event and doesn’t have it, you’ll get to see it soon. It’s a very personal experience that we’re trying to do because [the operators] talk very highly about their weapons; it’s their most important tool right, so we are doing this weapon customisation system. When you’re actually sitting there with the gun in front of you, and you can see yourself moving it around it’s… it’s a very personal experience. It’s you and your gun. Jess: Okay, so one last question. MOH is well-known for its realistic portrayal of war, so of course the one question on everyone’s lips is… are those magnificent manly beards returning to the front line? Kristoffer: There are some magnificent beards in the next Medal of Honor, there are! Preacher doesn’t have a beard this time around, but the OGA guy [United States Tier 1 operative] has the most magnificent beard; it’s actually also based on one of our operators. There are beards, if that’s your thing. We have this big chart at the office with just different types of beards on it. It’s beautiful! Jess: Well thank you so much for your time. Kristoffer: Thank you, this was a lot of fun! 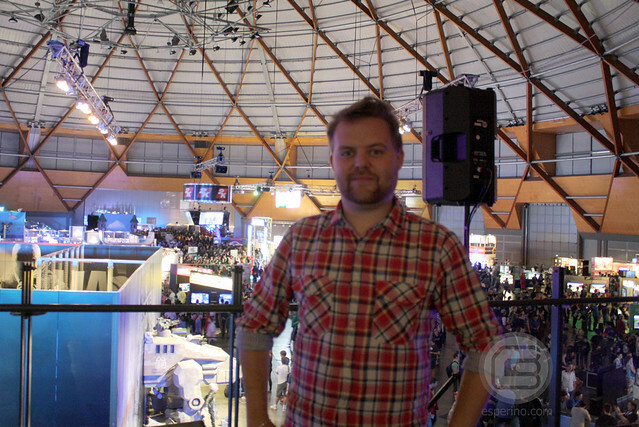 Thanks to Kristoffer “Hoffe” Bergqvist for answering our flurry of questions, and Electronic Arts Australia for making it all possible. 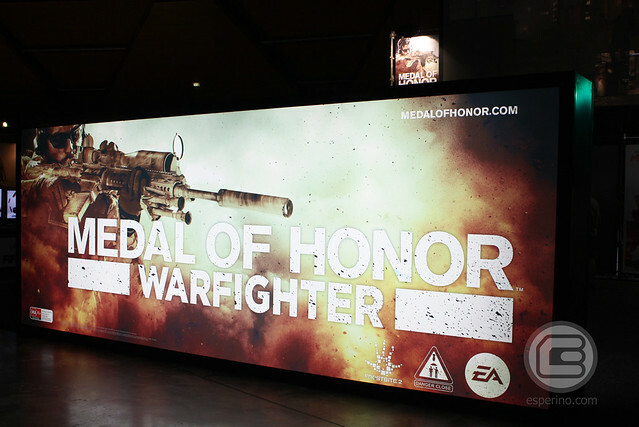 Medal of Honor Warfighter is out across Australia and New Zealand from October 25th 2012 for PlayStation 3, Xbox 360 and Windows PC. As for those eager to assume the role (and beards) of the men of Tier 1, the beta is now live on Xbox 360.